"I have to say you need to experience first before concluding and I found out that people at the remote barrios are warm, accommodating and kind." Seeing a hanging bridge over a great river, well, over a creek will do too, has always been a fascination whenever I travel. I said it is a fascination because I rarely see a hanging bridge since I am a [component] old city dweller wherein what I see everyday are >100-year-old houses and multi-century-old structures, parks and palace. 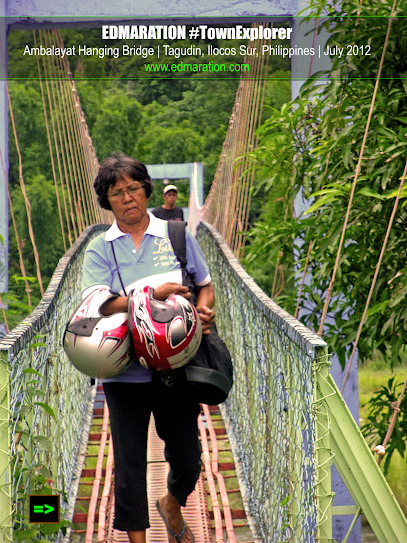 Looking at individuals crossing different types of hanging bridges sparks a different kind of feeling in me. At last, there is something "new" in my sight, not really the old thing I am already used of seeing daily. 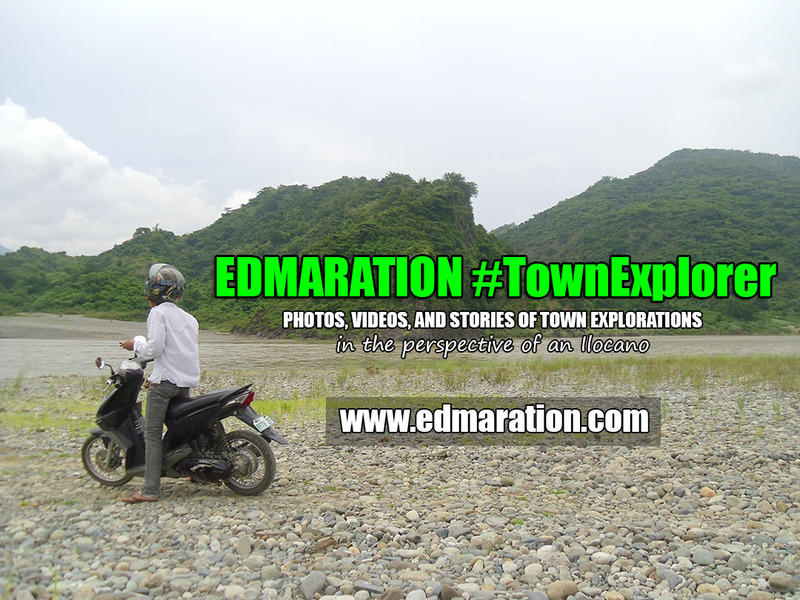 Hmmm, I am very much confident to say that the town of Tagudin should be a must-experience destination when it comes to HisTourism (History + Tourism) because unknown to many, major events in our history which are actually 'firsts' happened here. I will talk more about this for the next posts. Aside from historical sites in the town, just in case you are already tired of bombarding your brain with thoughts that will compel you to invent a time machine just to be able to understand history and/or going back to school to stare for 1 hour for that boring history teacher, then I can suggest a place for you that is not related to Persian Gulf Wars, rocket science and Ming dynasty. 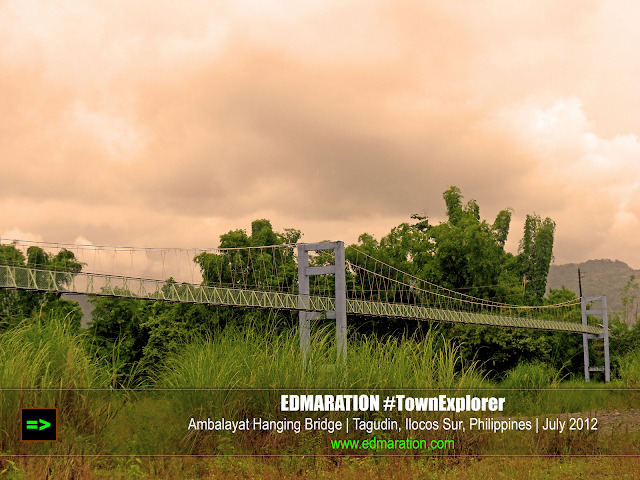 It is located in Brgy Ambalayat, hence the name, the last frontier of Tagudin town at the east. 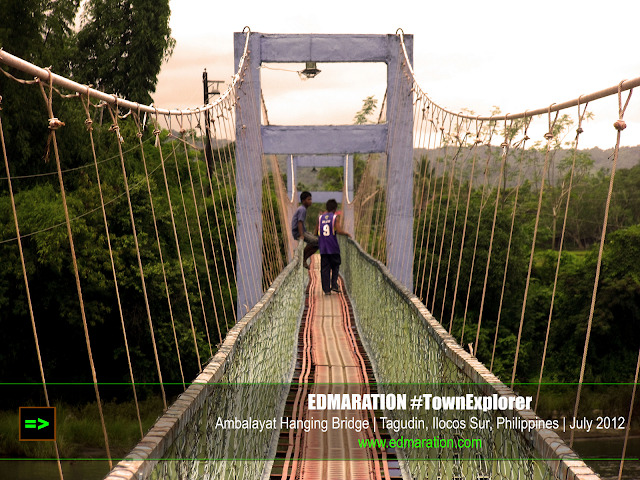 Ambalayat hanging bridge connects this remote barangay to the rest of [mainland] Tagudin. 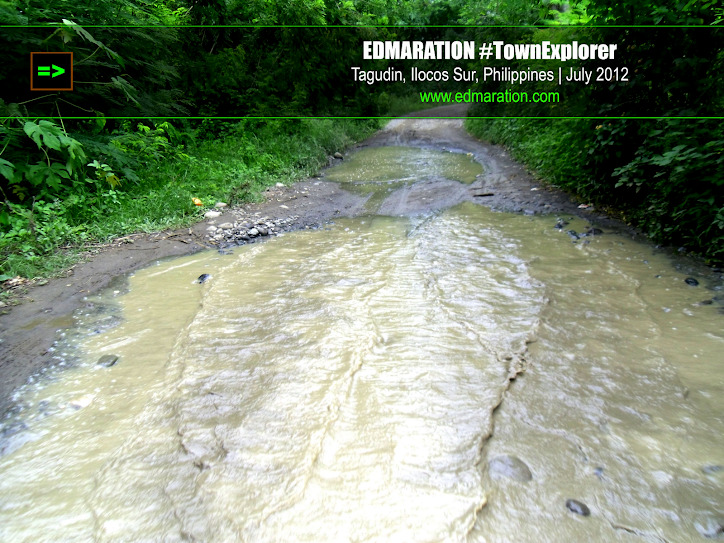 The barrio is being detached from the main landmass of Tagudin because of the Amburayan River that separates it. So don't think this is an island the moment I said that it is detached from the mainland. 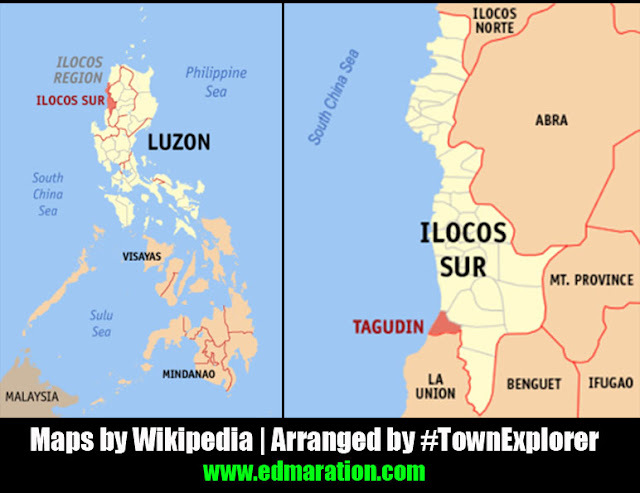 It is actually located at the parts of Tagudin wherein mountains start to appear closer and going further at the east would be another mountain town already. 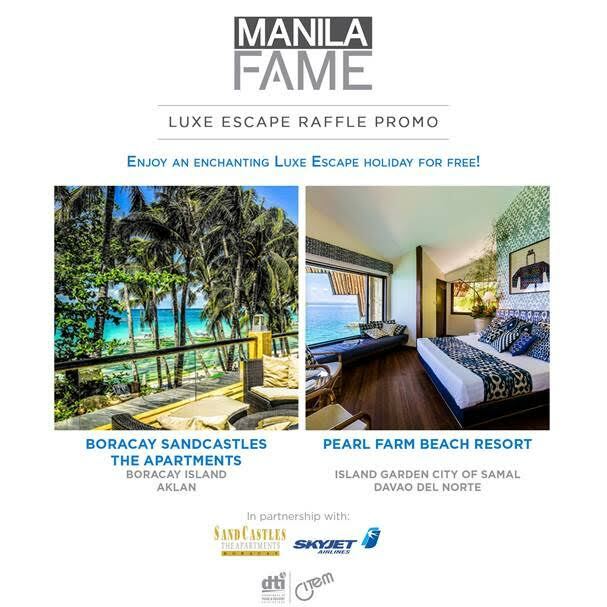 I am sharing this to show you how to go there and to encourage you to think twice. Yes, seriously, in case you are a senior citizen with osteoarthritis or a good-looking man yet asthmatic exacerbated by off-road travel if ever you are unlucky enough to have that condition. As I said, just "in case" you want some off-road adventures and careless travel memories, I am suggesting this. But of course, I won't tell you that it is as stunning as the Golden Gate Bridge so I am carefully writing this post so as not to overrate the place. However, I believe if you have that spirit of a traveler, adventurer, or explorer of just any town, you will love this especially if you want to discover this town deep in your heart. Before reaching Brgy Ambalayat where this bridge is located, you have to take a mixture of cracked, muddy, and rough road. But I believe it depends upon the season. 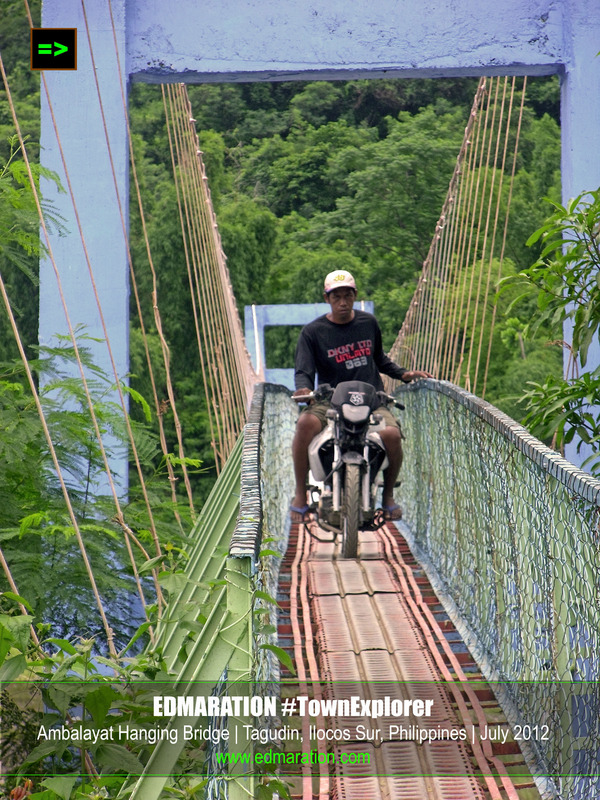 If it is dry season this is the version: Before reaching Brgy Ambalayat where this bridge is located, you have to take a mixture of cracked, dusty, and rough road. Did you notice the difference? It was an another mission accomplished. 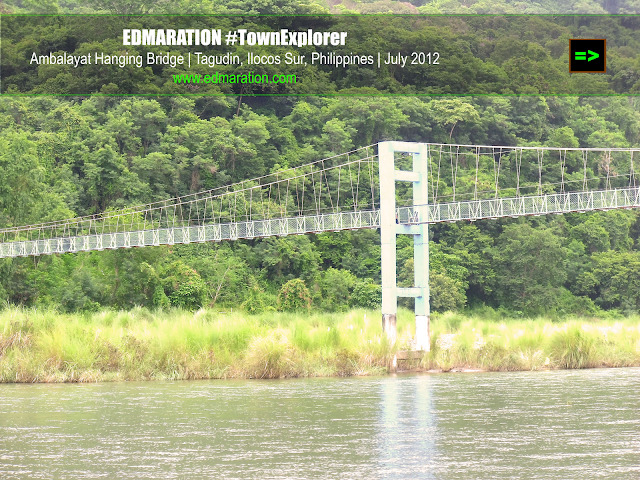 This bridge is actually on my list since a brochure of Tagudin tourism has included this as one of the points of interests in the town. As I arrive at the place where the bridge was located, it was a mix emotion, on my part. It was an instant relief. I tell you the place is so peaceful and relaxing. There was no noise, but there are sounds, lovely sounds of the birds, and the moving air creating friction to tree branches filled with leaves. I saw the river upon reaching the place. It was calm, there was no rush. But during typhoon, practically, I believe it becomes harsh. I can say reaching the place is safe. The people won't harm as per experience which is contrary to the belief of many that it is not safe here for strangers. I don't really know why most people consider remote barrios as dangerous destinations. I really hate this kind of stereotyping. I have to say you need to experience first before concluding and I found out that people at the remote barrios are warm, accommodating and kind. I am loving this experience. 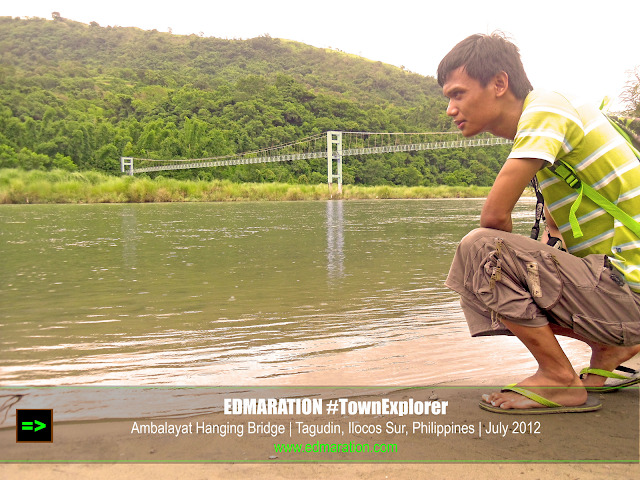 It was truly fulfilling that at least, I am able to immerse myself in Tagudin and even to get familiar to the town. As per experience, solo travel is already enough to get immersed and to discover the town by heart. The moment I set foot to this remote barrio, the people already knew that I am a stranger here. Just before I crossed the bridge, I saw a group of men playing card games. I can hear them talk about me, like "Who is that?" and they look at me with facial expressions that it is their first time to see or meet me. I did interact with them and the people were warm. One of them was telling that he is thankful that someone like me is visiting their barrio. 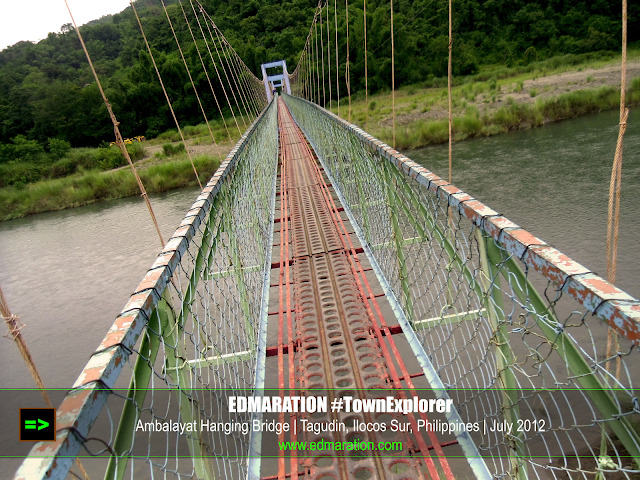 I went to the other side of the barrio after crossing the 200-meter hanging bridge spanning the Amburayan River. It was about to rain but I still continued the journey. I walked down this new barrio, meeting new faces, seeing new places. It was great! The unsafe rumor was just really a rumor. I went down near the river and savored the peace and "safety" of this new destination. As droplets of rain fall to my skin gently, I feel like the rain was part of the warm welcome. The experience was very memorable. It was that simple bridge that made way for me to discover the beauty of the barrio and I would not dare say that it is an ordinary bridge. Without that bridge, I may not be able to meet kind people, to encounter a peaceful community and to experience this very beautiful barrio. I agree about stereotyping that barrios are dangerous but on the contrary, Barangays in the metro are far more dangerous than the remote areas. Namimiss ko yung ganitong lakad, wala kang kilala at yung ppntuhan mo hindi touristy. Sky Summer | True! Nakakatakot kaya sa Maynila lalo na kapag sa may mga eskinita, hehe (Ako naman ngayon ang nag-stereoptype ng Manila) LOL! Pero seriously, mga barrio talaga ay laid back, nakakarelax.